THE PENTHOUSE BOOK NOW FOR AWESOME OCEAN VIEWS! Enjoy private balcony and bright Ocean Views. Wake to cool ocean breezes and enjoy a peaceful secure and Private PENTHOUSE in beautiful Dana Point California. Every amenity has been thought of for your stay. View of Ocean and coastline from every room except kitchen and laundry room!! OCEAN VIEW PATIO BBQ and entertainment and dining area. Entertainment center, NEW 70' 3D HD TV, Apple TV, full music and movie collection for your enjoyment. - (includes 1 queen bed, sleeper futon couch, kitchenette, full bath, 2 ocean view decks, private yard with BBQ - Check out 'THE COUPLES RETREAT' listing. Leave your car in private driveway and walk to the fine Dining and shops of Dana Point and Dana Point Harbor. Splash and frolic the day away at local beaches or activities in the Marina. Walk to Ferry for a day trip to Beautiful Catalina the Island Jewel of Southern California. Enjoy evening sunsets and city lights. *City of Dana Point Vacation Rental PERMIT #STR14-0150. Dont Risk your vacation to a non-permited Vacation Rental! Dana Point is the Jewel of Southern California, just the right amount of luxury and low key beach community. South on Pacific Coast Highway from Newport and Laguna Beach. Ocean Views and centrally located to vacation attractions north and south. (i.e. Disneyland, Lego Land, Sea World). Boating in the Pacific is our thing and Dana Point Harbor is the best Family Marina in Southern California. In addition we can walk to the Ferry and take the 1 hour ride to Catalina Island..... a must day trip when you come to So Cal. toilet, shower, Ensuite to front bedroom GREAT Spa shower with seat. Portable a/c available in bedrooms seasonal May-sept.
HD LED TV, with APPLE TV and BLUE RAY Player! Apple TV loaded with MUSIC, MUSIC VIDEOS and MOVIES!!! Plus you can download your photo's of the day to view on the 60' Big Screen! Private Balconey with OCEAN and City Lights views!! Great Place for breakfast or drinks or dining. New large Patio area with seating for 10! Great area after a day at the beach to BBQ and eat dinner. Easy place to relax in! Overall a wonderful space for visiting the Laguna/Dana Pointe area. Some instruction on the TV/Video would be useful for those not up on Apple TV. Parking for 1 car in the driveway was fine although street parking for other than 1 car can be hard to find in that neighborhood. The only reason this place does not get a five star review is because there was minor work that need to be done just to finish off the place and make it five stars. Counter top needed to be screwed down and the hot and cold water lines need to be swapped in the spare bathroom. I know this seams minor but one of the people staying with us took cold showers (4 night in a row) because she was not smart enough to turn the valve to the cold side just to see if hot water would come out. The view from the front porch is as the pictures show it to be. It was amazing. I had no problems contacting the owner when we arrived. He was very helpful in making sure our stay was the best it could be. I give him 5 stars. I highly recommend this vacation home. Yes new counter top did need a screw in it. As far as your guest/friend “Not being Smart enough” to read the shower dail... I Really don’t want to comment!! It was great. We had a blast. Great location. Very pleasant. Good location and view. Responsive host. This well-appointed condominium was an excellent base for us while visiting family and new grandson. Everything is close by--Dana Point, great restaurants, shops, and beautiful places to walk. A Gem in the Lantern Village! Location, Location, Location. This place was perfect for our family getaway in the Dana Point area. It's in a nice quiet neighborhood, walking distance to casual food places and coffee shops, etc. The beach is certainly walkable too. Bill was very responsive and the place is exactly how it's advertised. The layout is great and was even festively decorated for us during the holiday season. The 3D TV/movies was a bonus; the kids loved those! We will certainly return and stay here again. 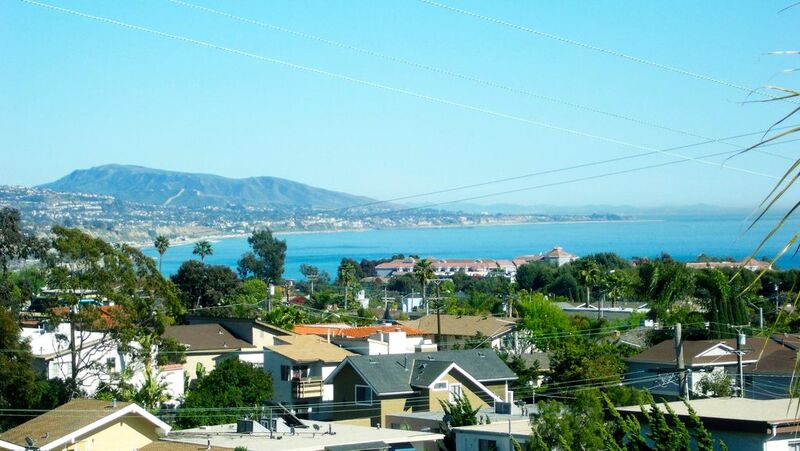 * WE ARE PERMITTED BY THE CITY OF DANA POINT AS A LICENSED VACATION RENTAL PROPERTY. Permit #STR-14-0150 Do not risk your vacation to rentals that do not have a valid DANA POINT PERMIT.